Plainfield is a charming town located in Sullivan County, New Hampshire, just south of Lebanon, New Hampshire and just east - over the Connecticut River - of Hartland and Windsor, Vermont. Easy access via Interstates 91 and 89 has made Plainfield a top destination for second and primary home owners alike. Plainfield is frequently recognized as the home of well-known painter Maxfield Parrish, a resident of Plainfield and a participant in the nearby Cornish Art Colony. Parrish purchased land in Plainfield 1898, ultimately designing and building his home, The Oaks, and several studios, where he lived and worked for 67 years. 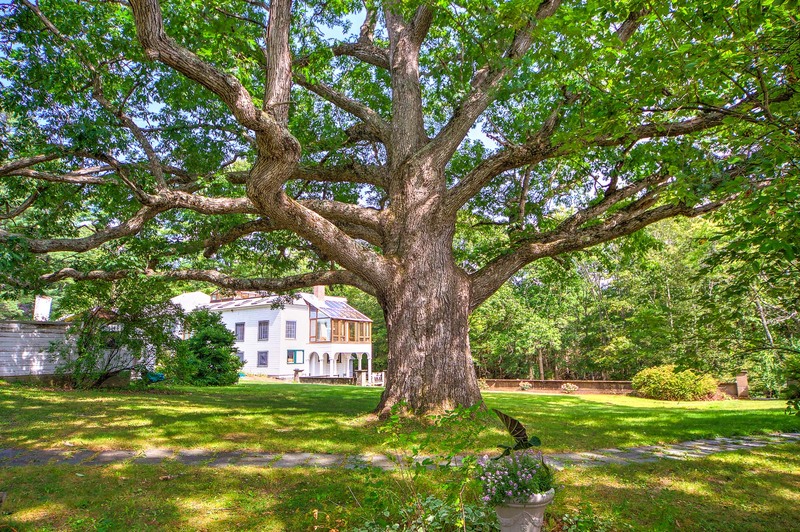 The Oaks, currently listed with Snyder Donegan, can be seen by clicking here. Parrish also painted the stage backdrop at the Plainfield Town Hall. Kimball Union Academy is located in Plainfield, within the village of Meriden. The academy was founded in 1813, and is the 22nd oldest boarding school in the United States. The presence of the school, as well as the towns proximity to Dartmouth College, has helped make Plainfield a town with a strong intellectual identity.